We all love vacations. We love our babies too. Giving your baby a comfortable sleep while on an overnight away from home is important the reason we have reviewed in this article a list of best travel cribs to consider while away from your home. A travel crib is essentially a travel crib that folds up and is lightweight hence perfect for your travel. The market offers a lot of travel cribs with different features and costs. We have selected top 10 best travel cribs in 2018 to make your shopping experience fun and easier. If you haven’t travelled with your little before, you might want to look at some of the travel safety tips to help you travel like a pro. Why should you get a travel crib? How easy is it to carry? Does the travel crib come with a travel bag? The main aim of getting a travel crib is to use it while travel so you are definitely going to carry around the travel crib on your journey. To make this stress-free, you will need a very lightweight crib and one that can become ultra-compact thus simple to carry from place to place. No one wants to spend so much time to get their baby’s crib standing and functional. Make owning a travel crib fun by getting one that is easy to set up no matter how you intend to use it. Your baby’s safety is important and should be a top concern when buying a travel crib. Getting one with high safety review might be the best way to ensure your baby is safe while in it. Safe sleep is a huge concern when dealing with babies and that’s why even choosing a travel crib should be done with care. Get a travel crib that folds up with ease and can be popped with a carrying case that can be slanged on your shoulder letting you walk around hands-free. For your baby to sleep soundly, they need to be comfortable and cozy. Consider the padding and softness of a travel crib before getting for your child. You don’t need to break a bank on a travel crib. The market offers a lot cost friendly cribs that are safe and comfortable. Having a budget for a crib prior to your shopping will give you an easy time selecting one. How would you like a travel crib that doubles up as a bassinet and a playpen? Graco Pack ‘n Play offers a bed for your baby that is removable and will allow your baby to sleep comfortably during the early months of their birth. As your baby grows but is under 35-inch-tall, the crib is able to hold them as you get busy with other house chores without having to worry about where they could have crawled to. You will love how Graco Pack ‘n Play folds at a push of a button and comes with a bag to carry it so you won’t have to worry about how to carry it along on your vacations and out-of-home visits. Its wheel and feet easily folds thus do not take up a lot of space during storage and you can lift with ease while traveling. Graco Pack ‘n Play has been designed with your toddler’s happiness in mind. The crib has a toy bar at the top that will keep your baby engaged during their stay in the crib. Whether boy or girl, your baby will love the colors of this crib and you will fall in love with how stylish it is and can be cleaned effortlessly. Graco Pack ‘n Play has been designed to offer comfort and convenience to both the parent and the child. It’s ability to function as a playard and bassinet make this best for parents that are always on the move. Definitely worth buying. Why we like it: A unisex and beautiful travel crib. We like the opening on the side that gives your toddler freedom to crawl around the house and can be zipped up when you want to keep an eye off them and concentrate on other things. Your toddler will love that Lotus Travel Crib does not restrain them in the crib but gives them the liberty to wander around thanks to the side door on the crib. You can also take advantage of the side door by crawling up the crib and spend some quality time with your child keeping them engaged and happy. 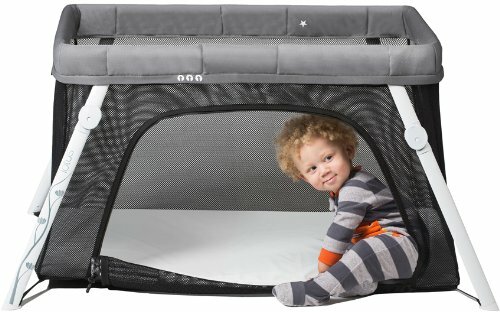 It has a mesh on the sides and under the mattress that will keep your toddler from suffocating whether while sleeping or playing. The see-through mesh will further ensure that your child can watch the surrounding giving them a peaceful sleep in a familiar environment when they nap. Lotus Travel Crib can be set up and folded easily without so much hassle. You will love that it weighs only about 11 pounds hence you can take it wherever you are going. It boasts of a carry bag that has optional backpack straps to be easily transported around making this the best travel crib for air travel. Lotus Travel Crib comes with a soft mattress that can be removed for easy cleaning. Although the mattress is not thick enough for your toddler to sleep on day to day, it comes in handy as a playpen. In case you will need to use the crib as a lockup, the zipper on the side door has been designed to only open from the outside so you won’t need to worry about your toddler breaking out of the crib. For the environmentally conscious individuals, Lotus Travel Crib is manufactured from environmentally friendly material and has been thoroughly tested for harmful emissions. We all want a travel crib that we can carry with ease and can be set up in a snap and this crib has been designed to meet this in mind. The backpack portability of Lotus Travel Crib makes this perfect for your everyday everywhere use. We highly recommend it. Why we like it: The no weight limit travel crib is appropriate from birth to children up to 3 years old. Its legs unfold by itself making it super easy to set up. Babybjorn Travel Crib comes with a base that is stable and will keep the crib standing. Its mattress has hooks that keep it in place ensuring your child is always on a soft padded floor. 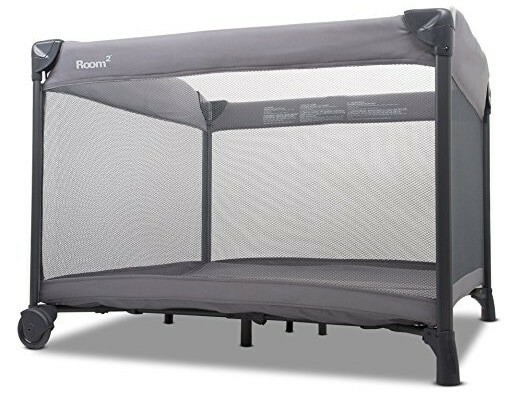 To add to your child’s comfort is the mesh on the sides that allows free flow of air in the crib and ensures you can watch your toddler all the time. Babybjorn Travel Crib legs unfold automatically making the setup hassle-free. After use, you can easily set it down and is light enough to allow you lift with one hand once you tuck it in the carrying case. Worried about your child messing up their crib? Fix this with a Babybjorn Travel Crib that comes with a durable mattress cover that can be easily detached and can be washed with the help of a machine. The crib’s sheets are also stress-free to wash.
A stable, easy to clean travel crib that can be easily carried in your car, train, or on a flight making this perfect for home and away from home use. Definitely worth your money. If you are looking for a travel crib for air travel. This might not be the best choice. Why we like it: Joovy New Room2 has a huge space that will give your baby the feeling of a room making it perfect for them to play and sleep. We like that the travel crib’s space is big enough to fit two babies hence best for families with twins. Does your baby love large spaces? Keep them happy by buying them Joovy New Room2. It will give your child the freedom to play in a space the size of a room which they will definitely love. The large and tall net on the side mimics a window that both you and your toddler will appreciate as you get to keep an eye on them while they easily see their surroundings. Other than just visibility, the sides allow free flow of fresh air for your baby. When it comes to your toddler’s comfort, the floor of the crib is heavily padded to keep them cozy whether playing or sleeping. It is extremely durable thanks to the high-quality steel frame and space that will accommodate your child until they are 35 inches tall. Joovy New Room2 has a carrying bag that will give you the convenience you deserve while traveling. The carrying bag comes with a shoulder strap to facilitate carrying while traveling. Joovy New Room2 has two wheels hence you can move the crib while indoors from room to room without having to fold it. Its stands are designed to keep the crib off the floor thus staying clean always. The crib has been further designed to be stable so you won’t have to worry about your baby tumbling over no matter how hard they play. Designed with a huge space, durable material, and a 2-year warranty, Joovy New Room2 was obviously built to last that you can keep for future use or pass over to other families in case your current child outgrows it. Lastly, the huge space which most playards do not offer makes this best travel crib for twins. Why we like it: We like that phil&teds traveler has been designed to be perfectly lightweight making traveling with them less hassle. You will love that with it, you get a crib, a baby cot, and a playpen in just one purchase. Are you an outdoor person? Get the optional shade mesh with your Phil&teds traveler and carry it outdoors to give your child a fun and adventurous experience. Your child will have a peaceful sleep thanks to the crib mattress that is designed to offer optimum comfort to your baby. The side mesh will give you peace of mind as you get to relax and watch your baby as they soundly sleep. 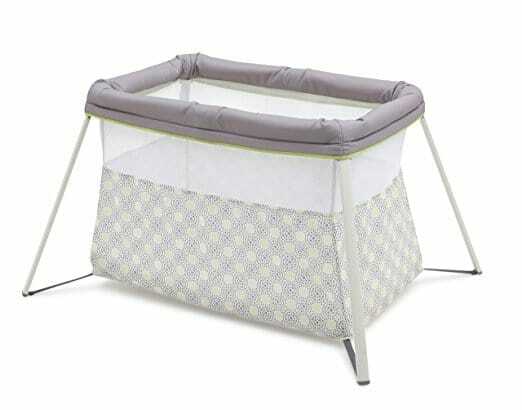 The side mesh also ensures your baby has enough air circulation in the crib. You can further brighten your baby’s day by freeing them up by opening the side of the crib and let them play in a bigger and more open space. You can also bond with your toddler by simply bending and crawling into the crib through the open side. Do you love traveling? You don’t have to leave your child behind or worry about where they will sleep while on your journey. Get phil&teds traveler and carry your baby along during your next trip. It is extremely light and comes with a bag that is small enough to be stashed almost anywhere during your trip. With the help of a zipper, the crib converts to a playpen that safely restrains your child so you won’t have to worry abouyt where they are when you are not watching. The bag can easily be carried on your back with the help of a strap so you can use your hands to carry other luggage while traveling. Phil&teds is a super handy travel crib that puts into consideration comfort, efficiency, and convenience for both you and your child. Its portability, simplicity of set up and set down coupled with a comfortable mattress makes this a must-have crib during your next trip with your toddler. Rolling it down to a neat package is quite a task at the beginning but with time you will get used to it. 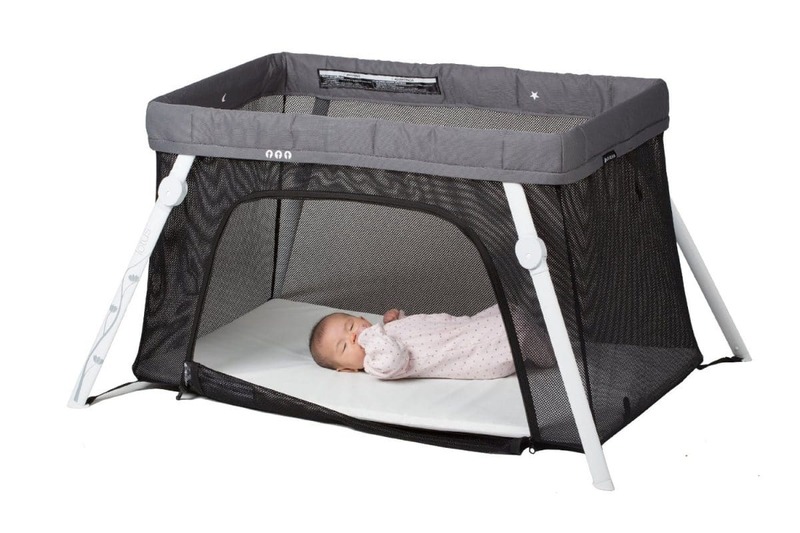 Why we like it: lightweight hence portable, easy to assemble and disassemble, convenient due to the top and front baby access, comfortable foam mattress, features a sunshade canopy and insect net. This portable crib from ElanBambino is ideal for parents who want to explore the world with their babies. Whether you’re just going off on vacation or simply visiting grandma for just a few nights, this travel crib will serve your baby just fine since it’s slightly over 11 pounds making it small and lightweight. It fits perfectly in the custom-made matching bag that comes with it and the carry/shoulder strap is an added advantage as it allows you to take the baby wherever you go. Moreover, this portable crib is easy to assemble and when disassemble it folds up small making it easy to carry. ElanBambino portable crib features a thick foam mattress that offers you the bundle of joy optimum comfort when playing or sleeping. It is also convenient for the caregivers as it has front and top access to the baby, therefore, you don’t have to strain when putting the babies’ in the crib and when getting them off. The front access is quite helpful especially when your baby gains weight and increase in size. The base of this travel crib also sits perfectly on the floor making it stable enough to support your baby, and again it’s not elevated hence suitable for people with all heights. Better still, this travel crib comes with a cotton fitted bed sheet that adds to your baby’s comfort. This travel crib is a pass for both air flow and comfort. Safety is without a doubt the first thing you consider before purchasing a travel crib for your kid. With portable crib from ElanBambino, the safety of your baby is guaranteed as it features accessories which include sunshade canopy that protect your baby from harmful sun rays when traveling. It also features a removable insect net to protect your baby from annoying bugs when sleeping. ElanBambino ensures that the portable crib features covers, mattress and bed sheets that are easy to clean. 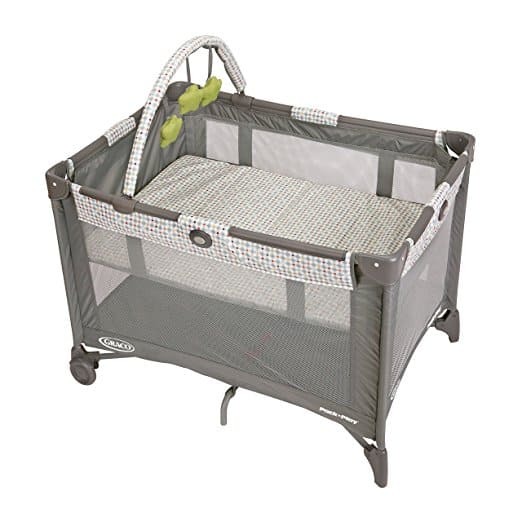 The crib is also perfect for travels and there is no doubt about its durability. We highly recommend it. The legs of this travel crib splay diagonally so they stick out to the sides and you can accidentally hit them and stumble. Why we like it: Offers UV protection, it’s lightweight and compact, very roomy, zero assemblies, and steak fixed. MinGz large travel crib easily folds compactly for storage and fit in standard size luggage/backpack when not in use, making it suitable for long trips by air and short visits too. This travel crib requires zero assemblies since you just need to open it and it will pop up on its own making it easy for transport. 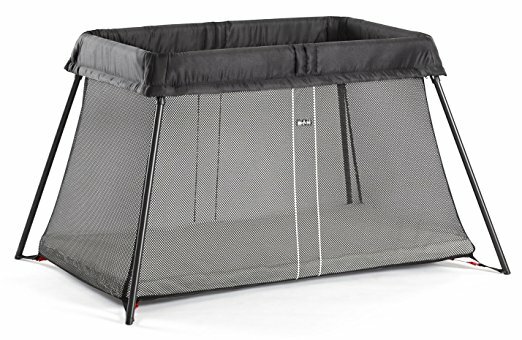 This travel crib weighs 3.65 pounds only making it much lighter than other pack n’ play hence much easier to transport. Another reason why we featured this travel crib on this list it’s because of its safety system that ensures your baby is protected at all times. MinGz Large travel crib features UV50+ protection to keep your baby protected from the sunburn whether you are on the beach, camping or in any other outdoor activity. 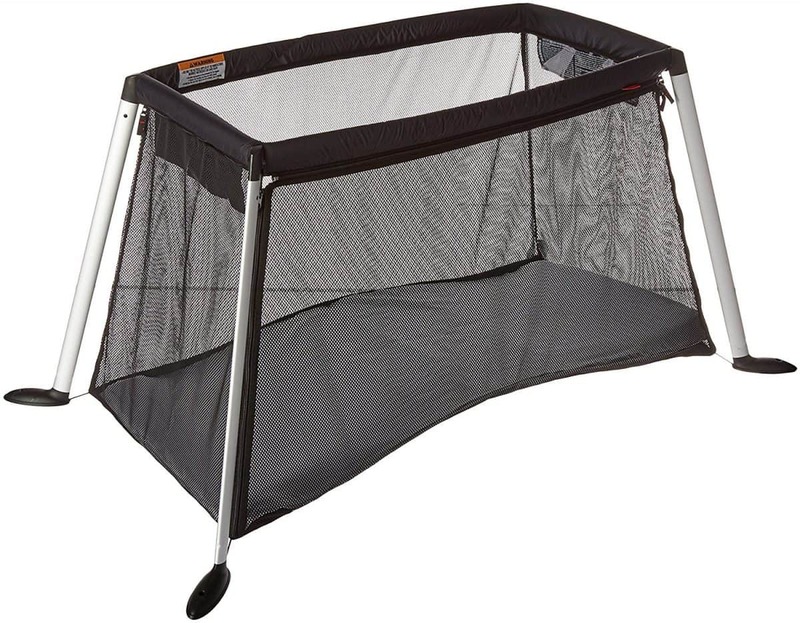 Furthermore, this travel crib has a steak fixed feature to ensure that the crib is securely fixed on sand/ground making the crib stable when used either indoor or outdoor. The only downside with the zipper is that you need to zip it after putting your baby in the crib. Therefore, if they are nearly asleep the sound of the zipper might startle them but so can any other sound. This travel crib is roomier and has a large space for your kid to play and sleep comfortably. With the large space, it’s also convenient for the caregivers to get the baby in and out of the crib. Better still, this peapod travel crib features a high premium net so whether you choose to put your kid on the yard or inside the room, you are sure that they will enjoy their sleep comfortably without being distracted by nasty insects and mosquitoes. 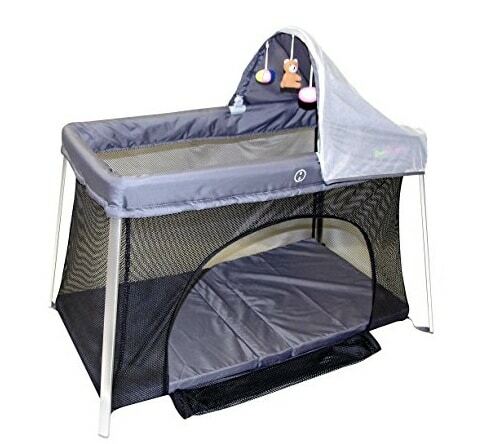 It‘s also ideal for airflow and breathability of the travel crib creating a conducive environment for your baby. The MinGz Large Baby Crib is totally ideal for travel and it has all the necessary features to keep your baby comfortable and safe. For the price and performance, there is no reason not to recommend it. Why we like it: It features a modern design, Breathable fabric, locking frame, 4-point Safe-T-Lock technology, and tubular steel frame, lightweight and machine washable. The BRICA Fold n’ Go is another great travel crib on our list that we recommend since it features great qualities that not only make it safe for your baby but also comfortable. This lightweight travel crib comes with a set of fitted sheet and a firm water-resistant mattress to ensure that your baby sleeps in a cozy comfortable environment. Moreover, it is built with ventilated mesh panels and a breathable fabric that allow air in and out of the crib to ensure that your baby enjoys sufficient breathing while sleeping. BRICA Fold n’ Go comes in a slim, lightweight design which makes it portable for moms on the go. It also weighs less than 3 pounds and folds flat making it convenient to store and to transport. Furthermore, this travel bassinet features great carrying handles that are suitable when traveling with it, making it easy to carry even in your suitcase wherever you go. This Travel Bassinet is built with sturdy tubular steel frame and locks that close at 4 different points. The locks have an audible click that helps alert the caregivers when the bassinet is locked and ready to use. This ensures that your baby’s safety is not compromised and when not in use you just need to press release buttons and the bassinet will fold completely for safe storage. 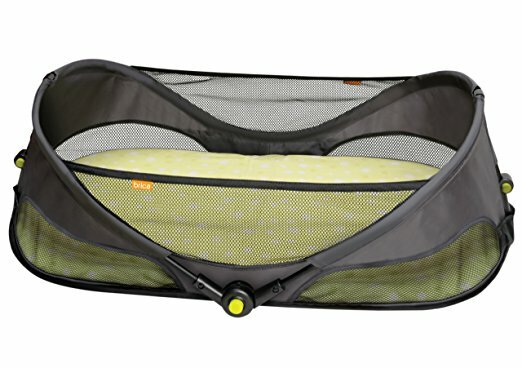 Feel free to use this durable Travel bassinet anywhere, be it on the beach, in the park, when visiting friends and family since its machine washable so you don’t have to worry about the dirt. This Travel Bassinet is made of polyester and cotton so it’s easy to clean. If you have a tiny baby and are in dire need of a travel crib, we can confidently recommend you the BRICA Fold N’ Go Travel Bassinet. It’s a classy option and still very affordable. Why we like it: It features an overstuffed mattress pad, a carry bag, convenient slim fold and easy storage, washable fabric cover, lightweight and easy to assemble. Delta children Viaggi Playard is another travel crib on our list since it’s suitable to use at home as well as when traveling. It has plenty of room to ensure that your child is comfortable enough when playing and even when sleeping. This travel crib features an overstuffed mattress and a plush to ensure that your baby enjoys a luxuriously comfortable sleep. Better still, it is built in a stress-free set up to help your baby feel safe and cozy while playing and it also gives the caregiver peace of mind to know that the baby is in a safe environment. 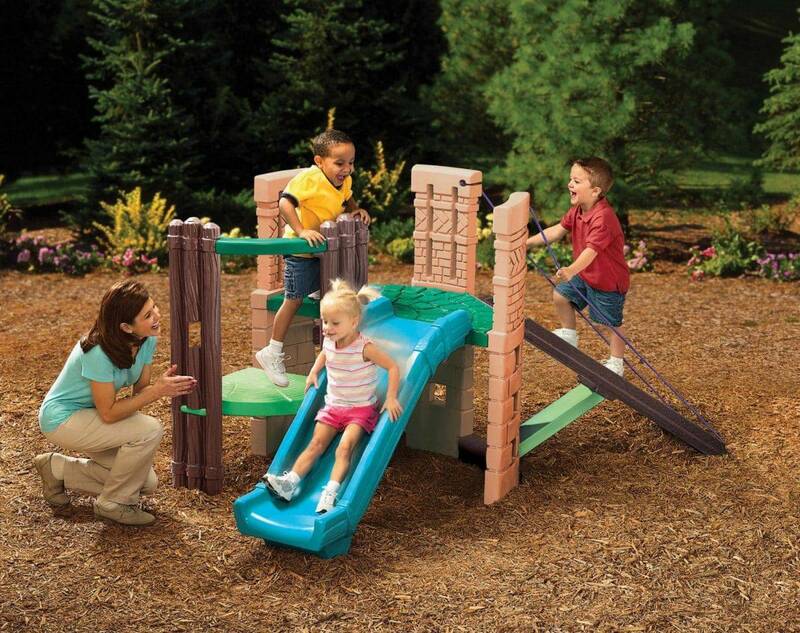 Children Viaggi play yard is lightweight and easy to assemble making it a portable crib while traveling. Its design is a slim fold making it compact enough for easy carriage and comes with a travel bag which is convenient for storage when not in use. It meets both parents and children’s needs and offers timeless services whether you use it at home or when going for adventures around the world with your child. Better still, this crib is only 7.7 pounds hence its light and easy to carry and move with. 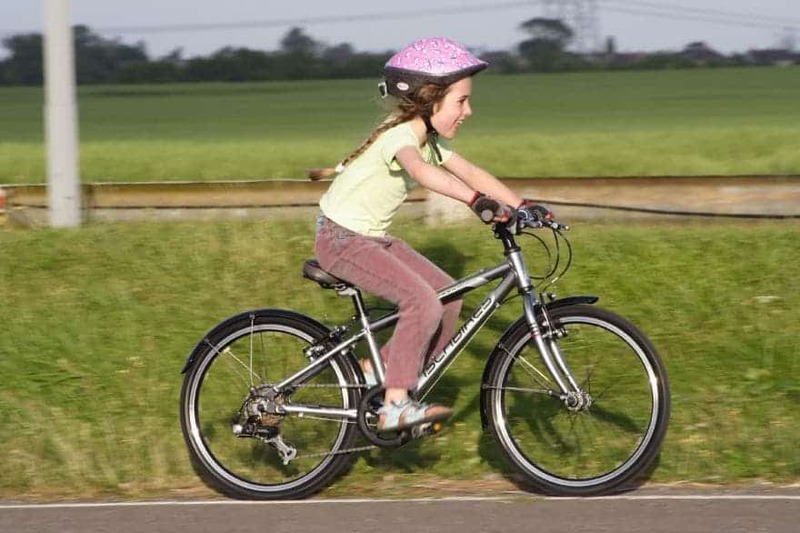 Delta Children is designed with a lightweight yet sturdy frame which makes the whole construction durable and firm enough to accommodate children who weigh up to 35 pounds. This travel crib is solid and JPMA certified to meet and exceed CPSC and ASTM standards so you can be sure that with it, your child’s safety can’t be compromised. Moreover, the crib features washable fabric cover which is convenient to the caregivers since it’s prone to get dirty while traveling. There is no doubt, Delta Children Mosaic Viaggi Playard will meet your needs of a travel crib. It looks great and it’s very affordable. It’s also very comfortable for babies. Folding it for the first time might be a task, but it gets easier with time. Why we like it: Features removable and machine-washable fabrics, brushed mattress pad, mesh windows, easy to set up, and support kids weighing up to 20 pounds. You no longer have to worry when traveling with your newborn since lullaGo bassinet is portable and it takes few seconds to set it up to and just like that, you are ready to go on that trip with your child who can sleep anytime in this lightweight crib. 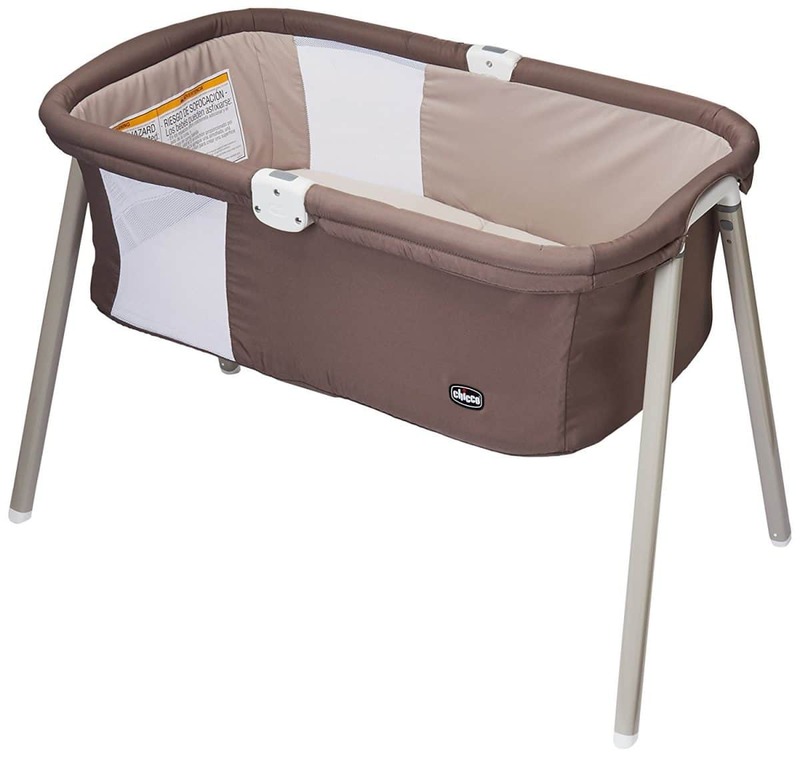 This crib features a one-piece top construction and snap-on legs making it convenient to assemble in seconds for sufficient travel. Again, it weighs 17 pounds only making it light enough for you to carry it around the house or from one place to another during your road trips. Additionally, LullaGo features a brushed mattress pad that is comfortable for your baby to sleep on. The mesh windows are an added advantage as they allow air flow in and out of the bassinet to ensure that your baby sleeps in a sufficient environment. And, the crib also has anti-slip feet which are a unique feature as it’s not found in many options and the purpose of the feet is to make sure that the crib is stable enough and doesn’t slide. This ensures that your baby sleeps comfortably. LullaGo is designed with a solid structure to ensure that it’s sturdy enough to hold your baby when traveling or even at home when they are sleeping. The height of this bassinet is conveniently such that you can use it as a bedside crib and watch over your kid from all corners of your room. Better still, the side mesh panels prevent your baby from falling on the ground when they flip and roll in the bassinet. LullaGo travel crib comes in an appropriate size for newborns. It’s not unduly large in size hence doesn’t take a large space and are suitable for small bedrooms. It is convenient since it folds compactly, therefore, you can easily store it in the matching bag that accompany it. Moreover, all the fabrics of this travel crib are removable and machine-washable making it easy for the caregivers to clean and maintain it. Chicco Lullago is a great travel crib. It’s lightweight yet sturdy and it’s also in a compact size for portability. 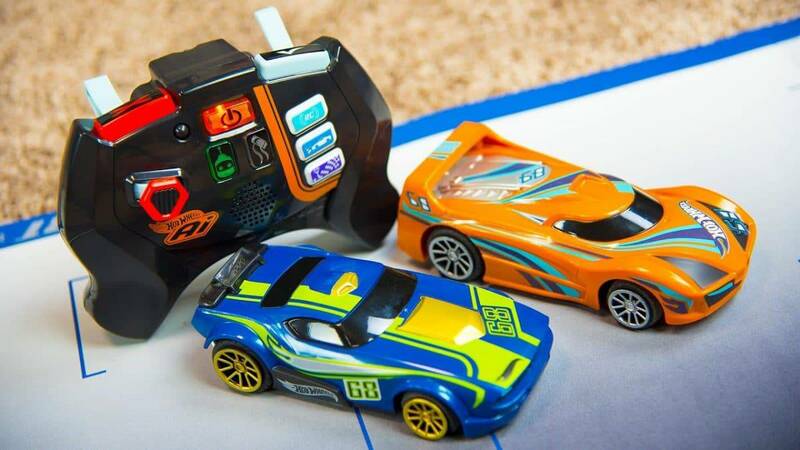 Definitely worth the money. You don’t need to be an expert to get your baby the perfect travel crib. All you need is consider the following factors then you will be good to shop for one. Changing the surrounding for your toddler every time you travel can cause lack of sleep for them. Owning a reliable travel crib ensures your child sleeps in a familiar place even when away from home. Traveling can also be stressful when you are not sure whether the hotel you will check in has a baby cot or not which can be easily fixed with a travel crib. Buying a travel crib that has a comfortable mattress is cheaper than acquiring a full-sized crib which needs extra costs for bedding. Convert your travel crib to a playing space for your child. This enables you to work on other chores in the house without worrying where your toddler can crawl to. Whether sleeping or playing, your baby is secured with the mesh sides on a travel crib as opposed to them playing on unsecured places such as on top of your bed. Here are some tips on how to keep your sleeping baby safe. Your child’s safety and comfort while traveling are non-negotiable. Whether on a limited budget or willing to go all the way, the market will have a choice for you. Our list above of best travel cribs in 2018 will help you make this decision. Travel cribs are not universal. Their features vary to accommodate children of different height, weight, and age. Knowing your kid’s age and weight will not only give you an ample time selecting a travel crib for them but also ensures you select the right crib for your baby for their safety and comfort. Choose a portable travel crib as this is one item you won’t afford to leave behind if your baby will be part of your trip. Whereas most cribs are light thus portable, we have cribs that are bulky and will make your travel hectic. If you can get a super light one, the better. Make your trips manageable by getting travel cribs that have carrying bags. This way, they easily fit into small spaces while storing them. Ensure the bag comes with straps to let you carry the bag on your shoulder or back as you make your hands useful by carrying other luggage or your baby. When buying a travel crib for your 1-year-old toddler, it is important to consider a crib that will restrain the child so they don’t get out to keep them safe. The mattress also needs to hook on to the crib without leaving any space to prevent your baby from sliding out at the bottom. Toddlers are naturally playful and will easily mess their cribs. Get a crib that is easy to clean to ensure you can easily wipe in case your toddler messes. Their playful nature will also need a spacious crib that can take up their toys to keep them busy when you decide to restrain them to their crib. It is also important to ensure that the crib’s side is well ventilated to allow free flow of air into the crib to avoid suffocating your child. You don’t want your babies squeezed in a crib as this will make them feel prisoned and can suffocate them. Travel cribs for twins need to be spacious to give them the feel of a room when they are in it. It also has to be super steady to hold the weight of the twins so they do not tumble over. How often do you take trips with your child on a flight? Consider a travel crib suited for flying. The crib should be light that can be easily carried to make it possible for you to carry in your handbag alongside other items. In case the crib is not foldable enough to fit in your bag, then it should not take up a lot of space when put in its carrying case to be able to fit in the plane’s overhead storage. Consider travel cribs that have additional features that will make your life easy. 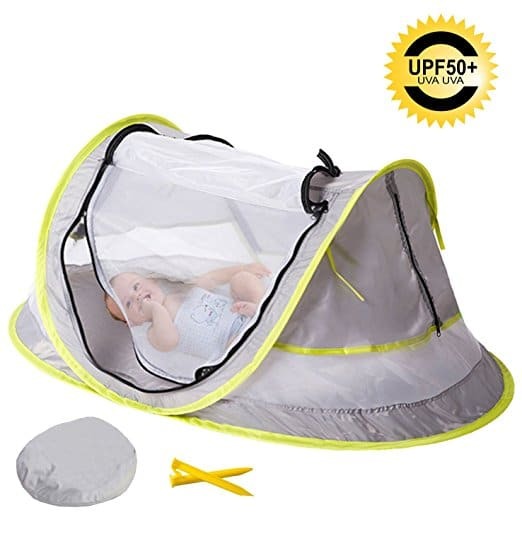 Such features may include; a mosquito net, shade to shelter from sun, rain cover, breathable mesh, toy bar to keep your baby engaged, removable mattress or mattress cover for easy washing, with wheels to stroll around in your house, elevated to keep it from dirt or a 2-in-1 that can function as a cot and a playpen. Restricts the baby inside the crib hence best for them when you are out of sight. The shortcoming is they are bulky and a little bigger when folded. Unlike the above crib, this offers your child freedom to move in and get out when the zip is open hence works best when you are around watching them play. The advantage is that the crib folds up easily enhancing their portability. An ideal travel crib saves you the anxiety that comes with taking your child with you on a trip. They will also give you the convenience you deserve both indoors and outdoors. Whether looking to buy a travel crib for toddlers, for flying, or for twins, look no further than the above list of best travel cribs 2018.